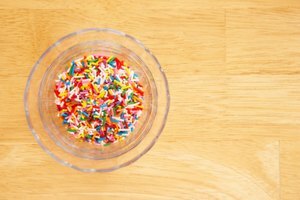 Cupcake wrappers add personality to your cupcake, but also keep it from drying out once it’s baked. You can find cupcake liners in just about any color and style at bakery supply stores and craft shops. When using cupcake liners you might notice your liner fades or the color skews after baking. There are many reasons this can happen, but also there are ways to keep the vibrant color of your liner while still baking a delicious treat. Use grease-proof cupcake liners. Grease-proof liners are made from glassine, foil or wax. These prevent the grease from absorbing into the liner, which can make the color fade. 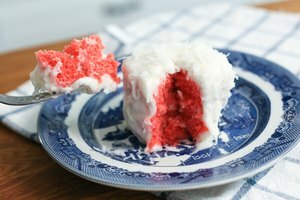 If using paper cupcake liners, look for varieties that are foil-lined -- meaning the interior has a foil liner to keep the grease of the cupcake from warping the exterior of the liner. Bake your cupcakes until they’re done and remove them from the oven. Don’t over-bake your cupcake -- over-baking can scorch the bottom and sides of the cupcake liner, altering the color. Don’t spray your liners or cupcake pans with nonstick cooking spray. Cupcake liners do the work of the nonstick cooking spray, and adding extra grease might fade the liners or make them peel away from the sides of your cupcake. Use darker liners for darker cupcake batters. Light or opaque cupcake liners fade and their colors change when a dark cupcake batter bakes inside them. For example, a white cupcake liner with a chocolate cupcake batter will show the chocolate cake through, but a brown cupcake liner won’t. If you need to use a darker cupcake batter, but need a light liner color, use a foil cupcake liner. Avoid super moist cupcake batters in paper, grease-free or glassine cupcake liners. Super moist cupcake liners add extra moisture and can fade your liner. Remove your cupcakes from the pan as soon as they’re out of the oven. 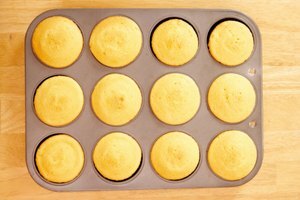 When cupcakes are left in the cupcake pan they steam, which alters the color of paper and decorative cupcake liners. 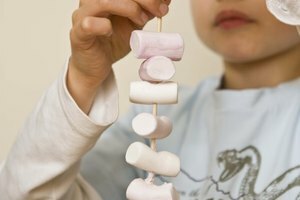 Can I Put Marshmallows in a Cake Mix & Bake It?